Good looking, well maintained and move-in ready classic ranch on 1+acre; huge backyard, finished basement space; newly refinished hardwoods thru out, renovated bathrooms. Ultra-convenient location near GA400 Exit 6, minutes to Dunwoody, Perimeter Mall area, Buckhead, Roswell, Alpharetta. Walk to Chattahoochee River Natl Forest from home! Wildlife sightings daily, unmatched convenience to great schools, dining, shopping, entertainment, rec & parks all things Atlanta! 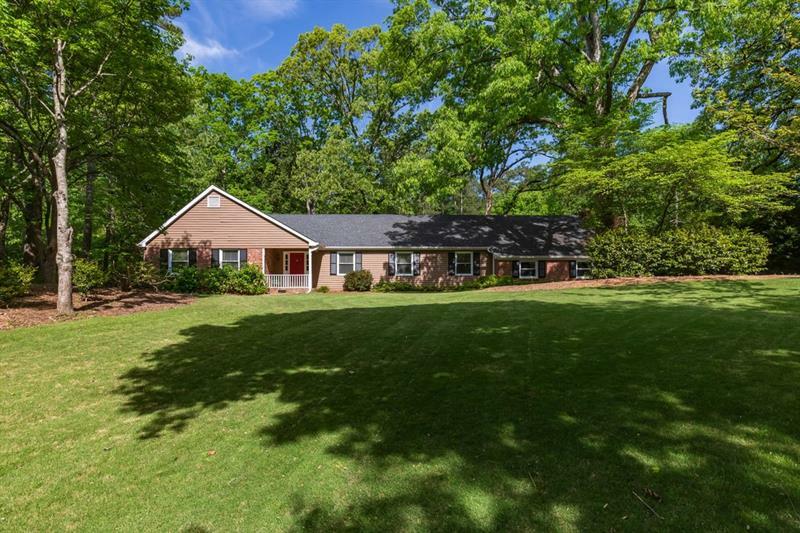 A representative from Metro Brokers has received your request to visit 1570 Huntingdon Trail on at .